Back to Back double glider swing complete!! 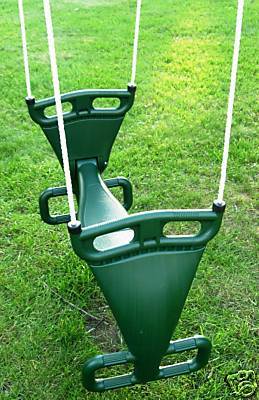 Plastic glider swing is great fun for two and maximizes a swing position on your playset. Quality durable white rope . 14" of galvanized chain at end of rope for easy height adjustment. Designed to mount to beam height of up to 8'.